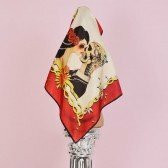 The Kiss is a sentimental design linking the worlds of tattooing, Mexico and a tribute to the inspirational and extraordinary personality of the living icon Rick Genest. 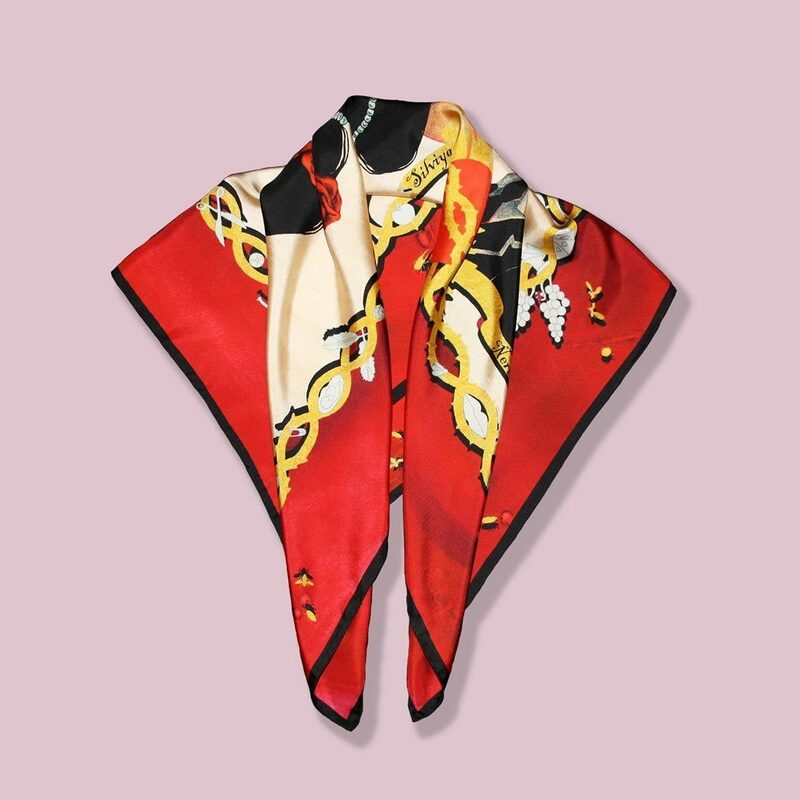 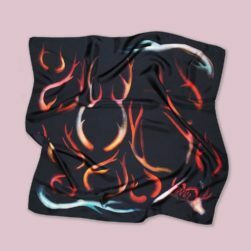 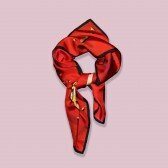 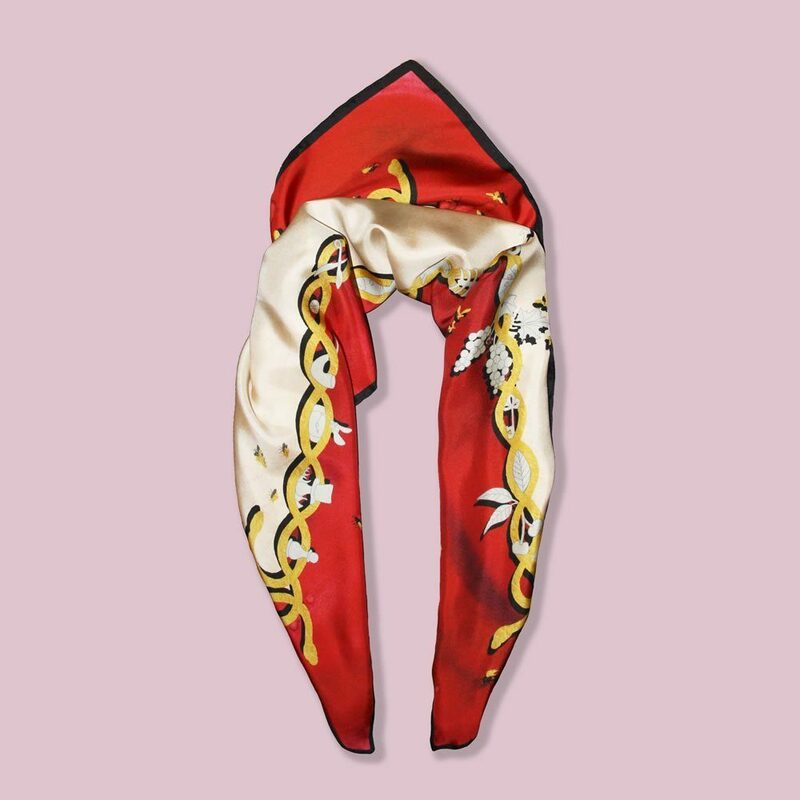 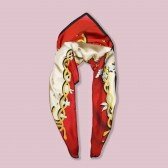 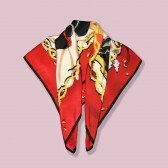 In its heart, the scarf depicts a portrait of a love couple, captured with great delicacy and precision. The intimate moment is surrounded by a frame of golden and silver insects and objects, reminding that this is a unity between reality and dream, and only the beholder can decide to believe in it or not.